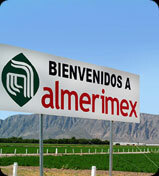 ALMERIMEX was created as a joint venture between Spanish and Mexican investors. This corporation was founded in August 2002, and is located on the La Laguna valley, just outside of Torreon , in the northern state of Coahuila , Mexico . In addition to financial resources, all three companies constituting ALMERIMEX have contributed with their vast experience as produce growers and traders, which accounts for its excellent product and service quality. AGRUPAEJIDO , S.A. is a Spanish company with a 40-year experience as a vegetable and fruit grower and trader in the European and American markets. AMPUERO and INMEX are two Mexican companies with over 20 years of experience in the local agricultural sector; both of them are important stockholders of one of the leading supermarket chains in Mexico . ALMERIMEX present greenhouse facilities cover 222 acres, 86 of shade house,including a state-of-the-art nursery for the production of the seedlings necessary to yield the best produce, as well as a large packing warehouse with automated control systems that guarantee our produce best quality. Currently has an annual output of 20,000 tons of beefsteak tomatoes in his two growing cycles, and 4,500 tons of roma tomatoes. To be a model enterprise regarding quality processes, standing out for owning the cleanest and most hygienic facilities in our country. To be a greenhouse vegetable production leader with the highest efficiency, profitability and quality to benefit our customers, employees and business associates. Maximize stockholder value, promote enviromental oriented culture and cooperate in our country's overall development.  Produce top-quality vegetables, always aiming for the best cost-efficiency mix. Count on people qualified, enthusiastic and responsible. Develop a broad distribution network in Mexico and North America.